Mellow Mink’s 1st Bottle Release! Mellow Mink is very excited to announce our 1st bottle release! Bottles will be available Saturday, April 20, @ 12pm in the Mellow Mink Taproom. 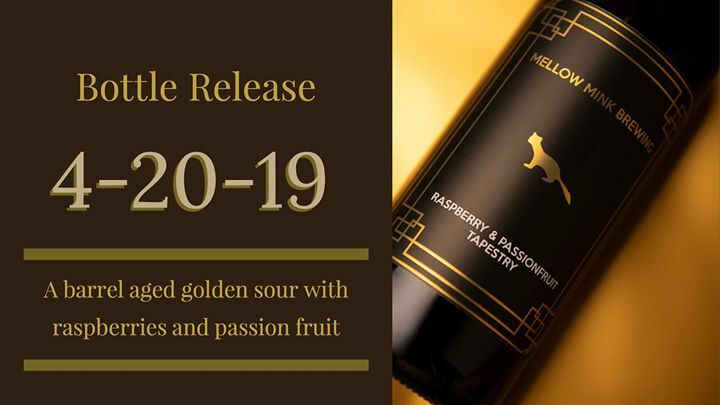 Raspberry and Passionfruit Tapestry is a Chardonnay barrel aged golden sour with raspberries and passionfruit, naturally conditioned in the bottle. $20 per bottle, limit of 3 per person per day.